Hi, it’s Mark from Top Local Lead Generation. We’re here with Vancouver’s own Gary Waight. 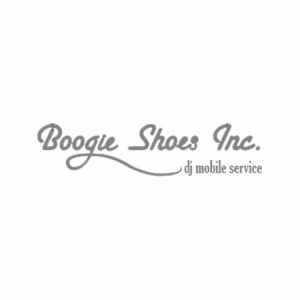 He’s the owner of DJ Boogie Shoes in Vancouver, your wedding DJ, a party DJ, event DJ, you name it, he’ll DJ it. How are you doing today Gary? I�m doing very well, how’s yourself? 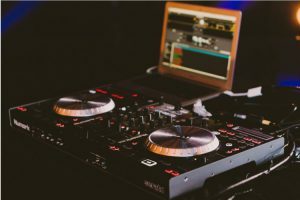 Good, so you’ve got a new service that allows for a lot more flexibility for where music can be played during a wedding event. Yes, I do get a number of brides who have found a beautiful spot where they would really like to have their ceremony, their wedding ceremony but they’re limited in the fact that there’s no power there so they come and ask me, Gary can you set up a little PA system but there’s not power and before I couldn’t but now I’ve discovered powered speakers, battery powered speakers. They’re actually the new rage, as the new technology comes along it always gets better and better so we basically can now, come into your little spot, area even if there is no power and we can set up a little mini PA system and we can bring in music for your wedding reception or if you’re going to have maybe a barbecue there, kind of a thing and we can bring in music at lower volumes for the background music for dinner and for your ceremony. We can also include microphones so if you wanted to broadcast your wedding over the PA system that would be great too. Very flexible, they’re not huge and a very nice clean speakers. They’re not powerful for the dancing, you do need the plugin still, plug in system for that but they will come in and allow us to set up a smaller system just about anywhere you have some spot and you don’t need power to do it. Very easy, very quick and it gives you the service that you can have beautiful music anywhere you want it. So that sort of opens the door then for like beach weddings or beach ceremonies or you know a beautiful, under beautiful tree in the middle of a park or what are maybe some other examples of that? Well, that will be right, very right, lots of times there a lot of nice lake areas around here but there is no power; the beach that you mentioned, there’s no power but we can now overcome that with the battery powered speakers, wireless technology now, so any of those areas would work great even the backyard of your home if you have a large backyard there’s a lot of estates or people who do have farmland out in Langley area, even Surrey but they have beautiful little spots where they don’t have access to power but we can actually set up a little system for there, do their wedding ceremony and move to the main reception area later on. and you can save yourself a hundred bucks if you call them fairly soon 604-816-7727 Thanks Gary.